Longworth Powers. 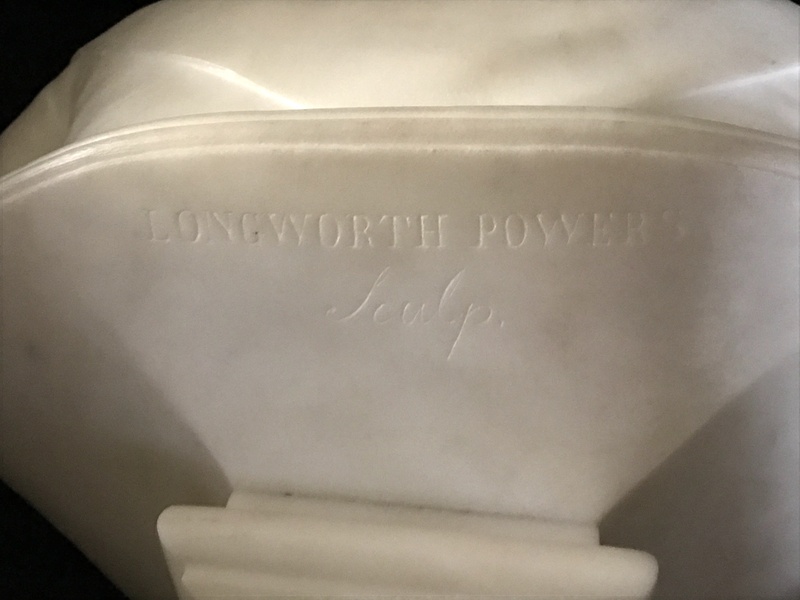 Inscribed on the rear underside of truncation: LONGWORTH POWERS./Sculp. 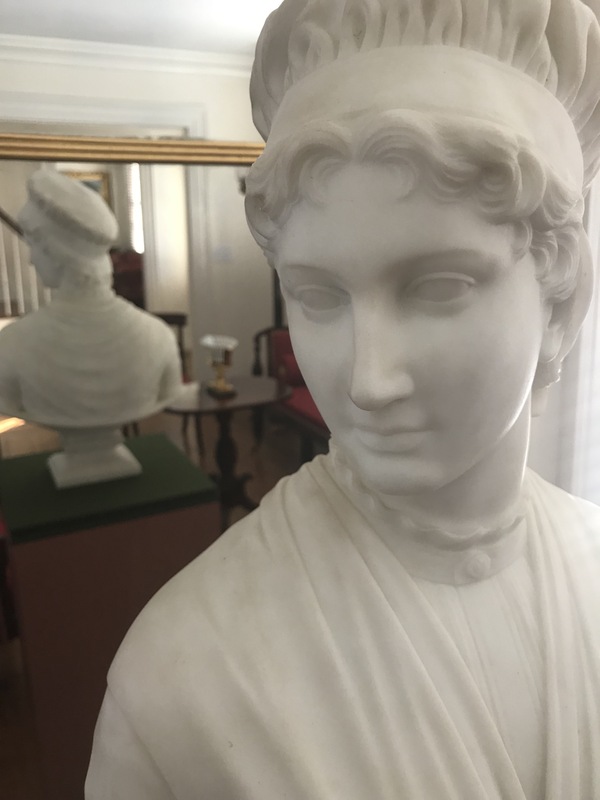 This sculpture depicts Priscilla Mullins from Henry Wadsworth Longfellow’s long narrative poem The Courtship of Miles Standish. The poem, first published in 1858, tells a story of love and foolishness among the three characters of Priscilla, Miles Standish, and John Alden. John marries Priscilla after first trying to court her on behalf of Miles Standish. The sculptor’s father, Hiram, carved two portraits of Longfellow in the late 1860’s. 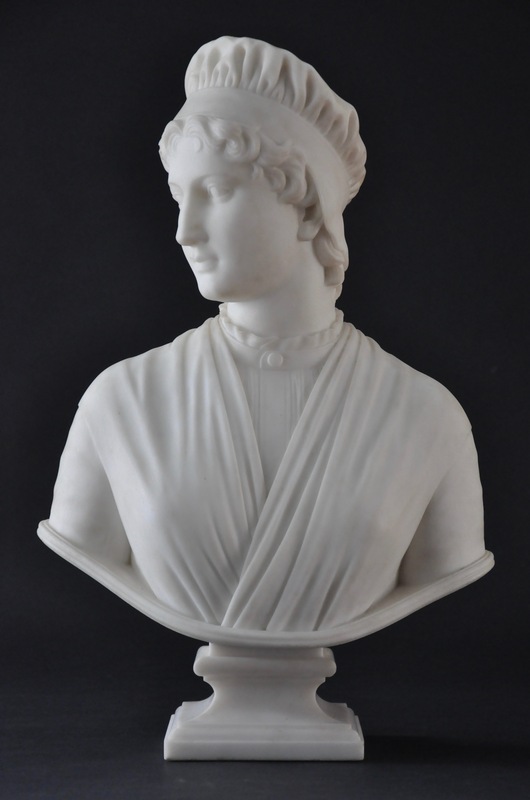 A plaster copy of Powers’ Priscilla is on view at the Smithsonian American Art Museum in Washington, DC.